Bolourchi M, Batras AL. 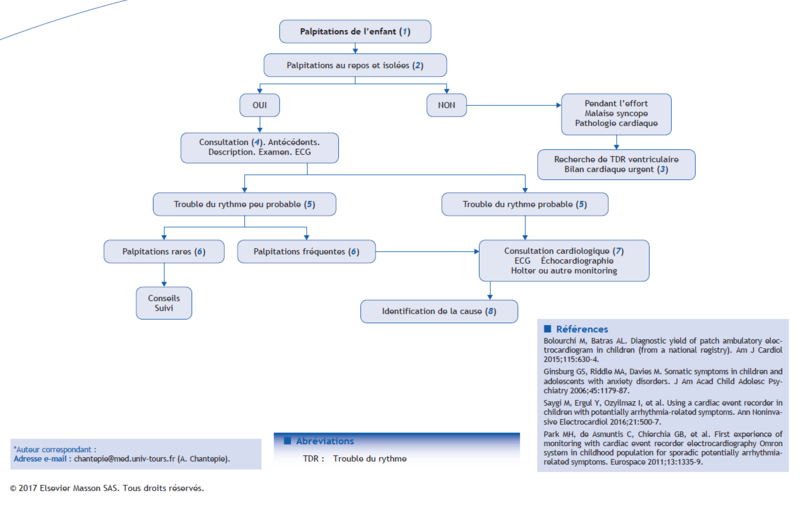 Diagnostic yield of patch ambulatory electrocardiogram in children (from a national registry). Am J Cardiol 2015;115:630-4. Ginsburg GS, Riddle MA, Davies M. Somatic symptoms in children and adolescents with anxiety disorders. J Am Acad Child Adolesc Psychiatry 2006;45:1179-87. Saygi M, Ergul Y, Ozyilmaz I, et al. Using a cardiac event recorder in children with potentially arrhythmia-related symptoms. Ann Noninvasive Electrocardiol 2016;21:500-7. Park MH, de Asmuntis C, Chierchia GB, et al. First experience of monitoring with cardiac event recorder electrocardiography Omron system in childhood population for sporadic potentially arrhythmia-related symptoms. Eurospace 2011;13:1335-9.